SeniorsAloud: WHY NOT A NATIONAL SENIOR CITIZENS DAY AND A PARENTS DAY? 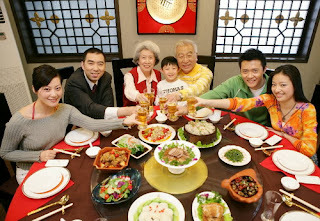 WHY NOT A NATIONAL SENIOR CITIZENS DAY AND A PARENTS DAY? 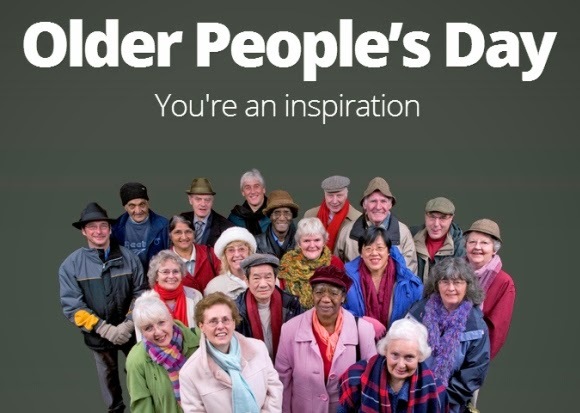 A website set up to "celebrate the achievements and contributions that older people make to our society and tackle negative attitudes and outdated stereotypes." Check it out here. Senior Citizens Day is celebrated in the US on 21 August. In China the day falls on the ninth day of the ninth lunar month which happens to be 13 Oct this year. There is also International Day of Older Persons which is observed on 1 October. Canada, Britain, Australia are among the many countries that celebrate this day with special programs that include seminars, workshops, awards, carnivals, exhibitions, entertainment, luncheons, city tours and other fun activities. It is also a day when governments will announce special perks for this demographic. In India, the government marks Senior Citizens Day with state-level programs to honor the elderly. The country has about 100 million senior citizens aged 60 and above. We are half way through October. So far, the government and the media here in Malaysia have marked World Habitat Day on 7 Oct, World Post Day on 9 Oct, World Mental Health Day on 10 Oct and World Arthritis Day on 12 Oct. Coming up is World Osteoporosis on 20 Oct. I am sure the papers will carry articles and events planned for that day. Still nothing about celebrating World Senior Citizens Day or International Day of Older Persons. Are we not important enough? Do we not matter? 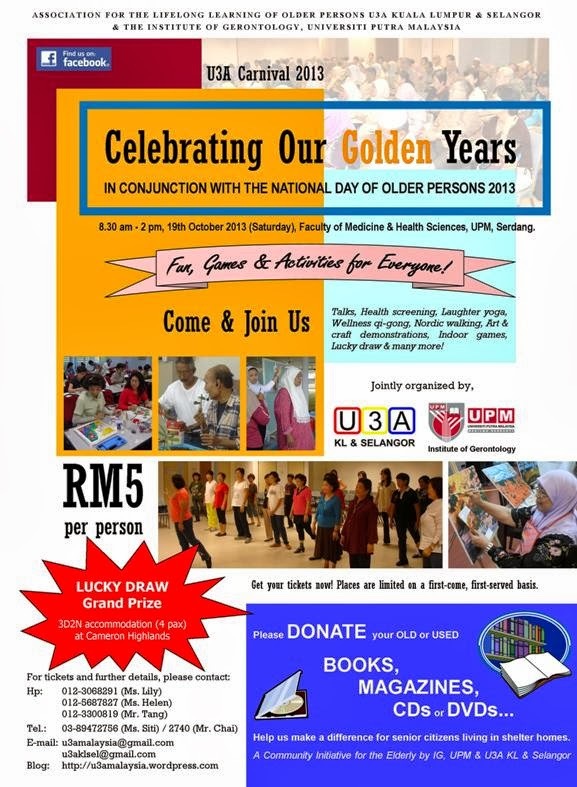 That is why I am delighted to announce that the University of the Third Age (U3A), Malaysia together with the Institute of Gerontology, UPM are jointly organizing a mini-carnival this Saturday 19 October with the theme "Celebrating Our Golden Years". Whether we call it International Day of Older Persons, World Senior Citizens Day or Older People's Day, there should be a day when we honour our elderly citizens. This news item above in yesterday's The Star (14 Oct) caught my attention. 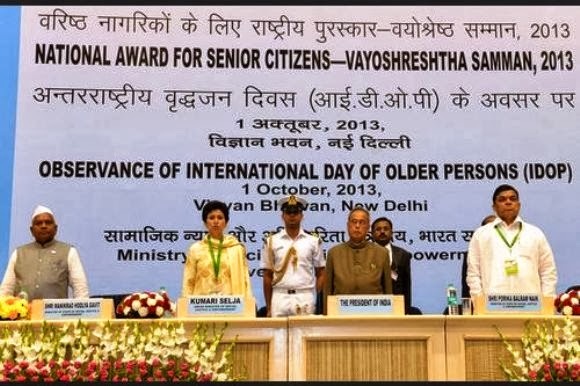 The government should declare 1 October as National Senior Citizens Day. It need not be a public holiday, as long as special events are held on that day to show appreciation of our senior citizens' contributions to society, and to celebrate the day with them. It also makes sense to have a Parents Day in lieu of a Mother's Day or Father's Day. Adult children can celebrate with both parents on the same day. It's double the joy but at half the cost to adult children hosting lunch or dinner. Over to you, Ministry of Women, Family and Community Development. Do we senior citizens deserve a day to call our own? What a good thought it would be to have a Parents' Day for children of all ages to celebrate and especially honour their parents. I belong to U3A here in Australia. It's great to see they are doing something for older people, to mark their contribution to society, in your country. I guess Malaysia is a nation in vigorous denial of its age.